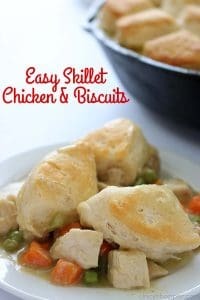 If you need a simple dinner idea, this Easy Skillet Chicken & Biscuits will be great for you to make. 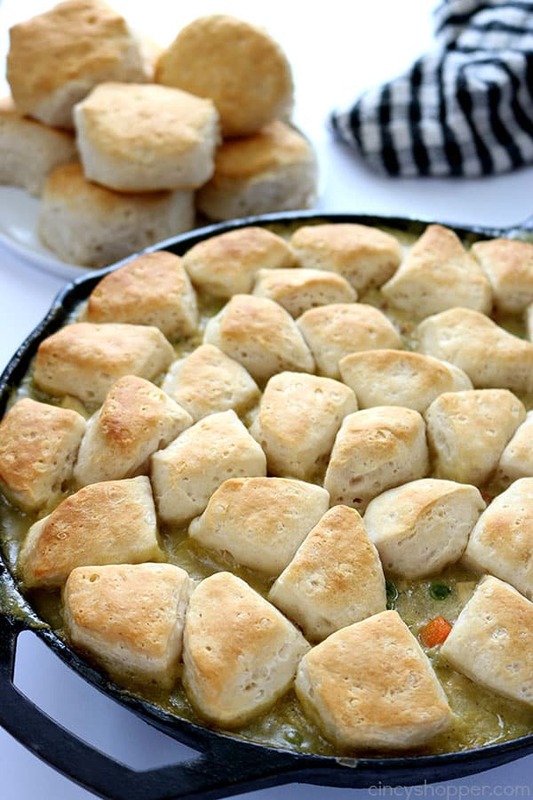 You will find it loaded with chicken, veggies and then topped with biscuits. 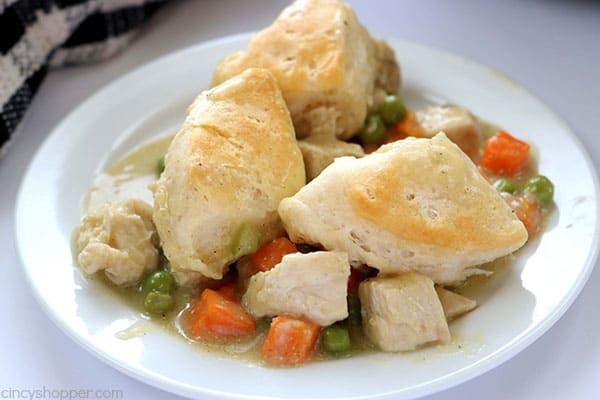 Chicken & Biscuits is always such a great to dish to make for our family. The hubby and kiddos always love it. 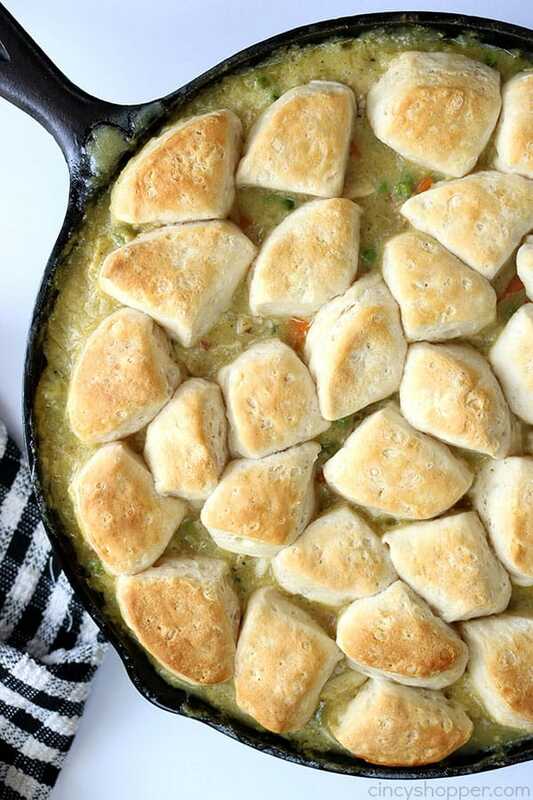 I can make one pan and they are all filled up quite quickly. 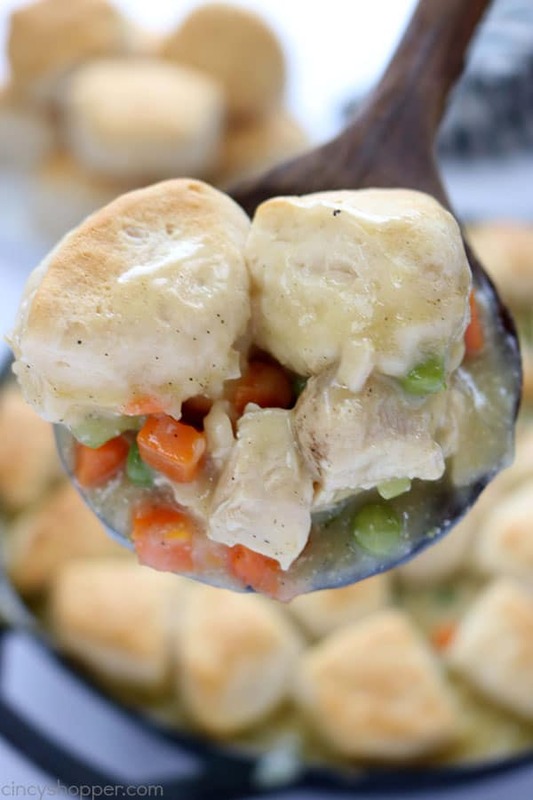 If you love easy comfort food, you are sure to love this recipe. 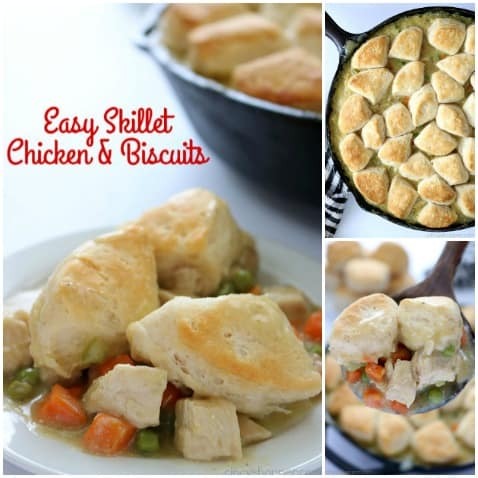 I made this Easy Chicken & Biscuits very similar to our so popular Easy Chicken Pot Pie Casserole. I changed up a few things here and there to make it a bit different. 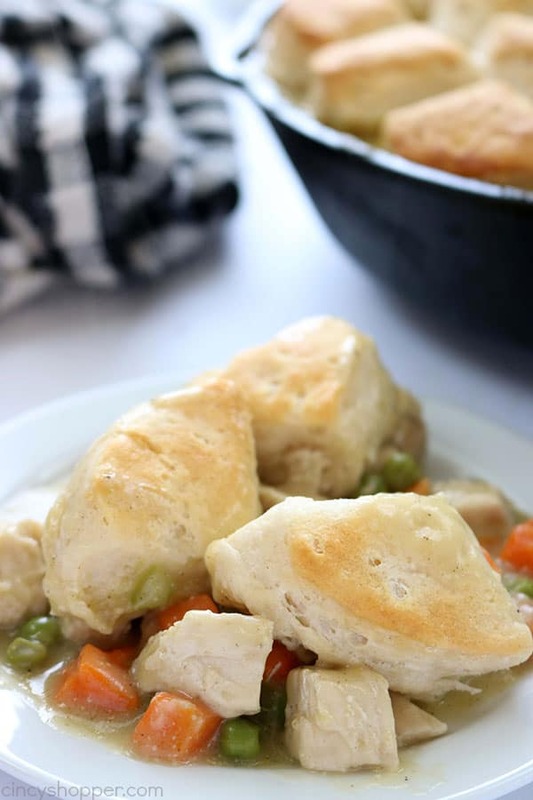 Everyone loves the Pot Pie so I know they will like this version made in a skillet. I baked my chicken ahead of time for this dish. 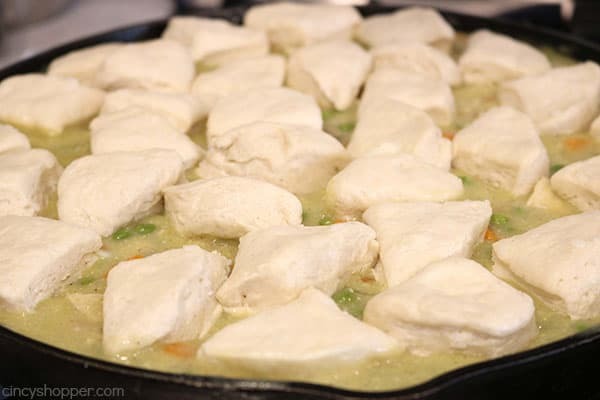 I just tossed some breasts in the oven at 350 with a few spices for about 30 mins. 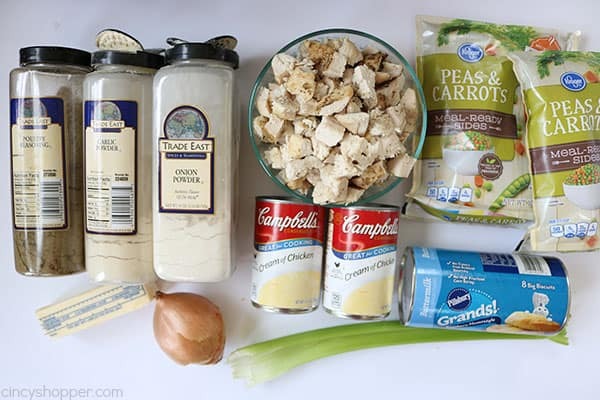 You can grab a rotisserie chicken at your grocery to make this recipe super simple. We have done that often when I am pressed for time on a busy weeknight. I always make an extra batch of biscuits for my large crew. We love dipping the extras in the sauce,. YUMMY! You will make this dish over and over again. 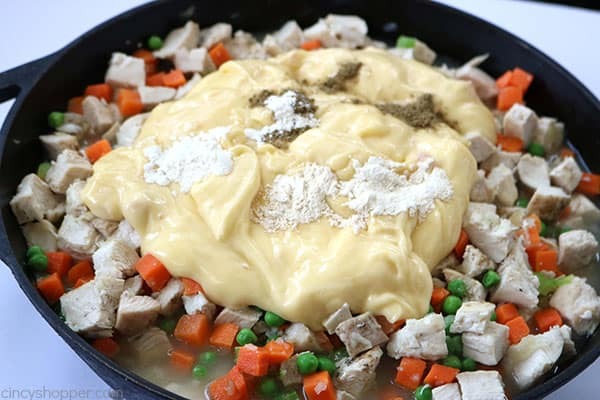 It is so easy to make, it’s so easy to cleanup and it’s super tasty. 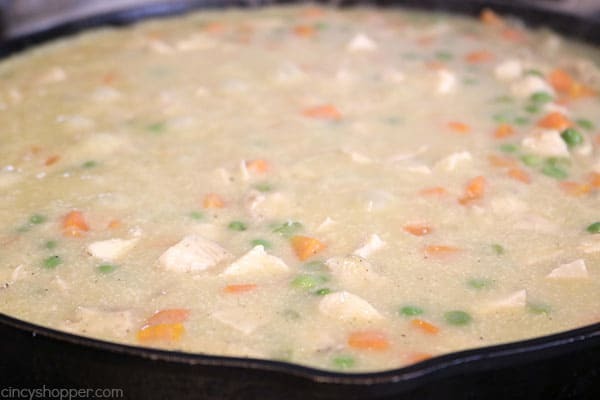 You will need your chicken, store bought biscuits, frozen veggies, onions, celery, butter, cream of chicken soup and a few basic spices for this recipe. You can have it made and on the table in no time at all. 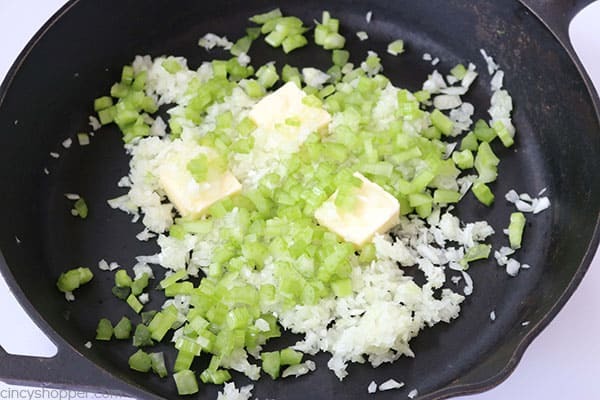 In a large skillet, over medium heat, add butter, onions and celery. 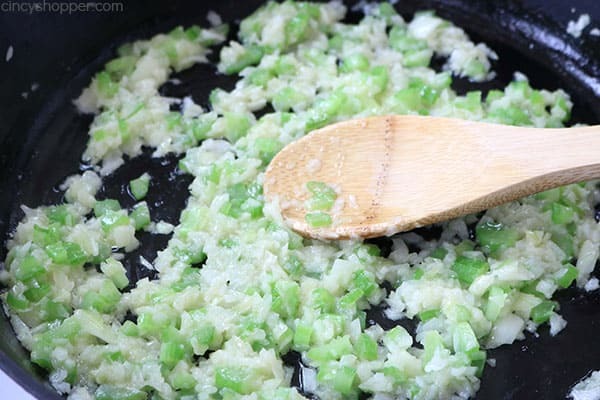 Cook until onions are transparent and softened. 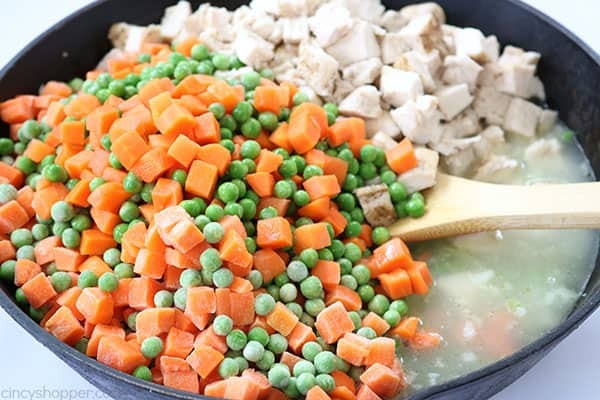 Add peas and carrots, chicken and water. Add soup and spices and stir until blended. 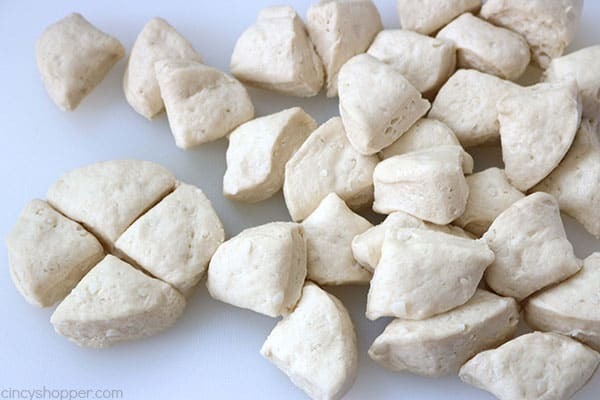 Cut biscuit dough into quarters. 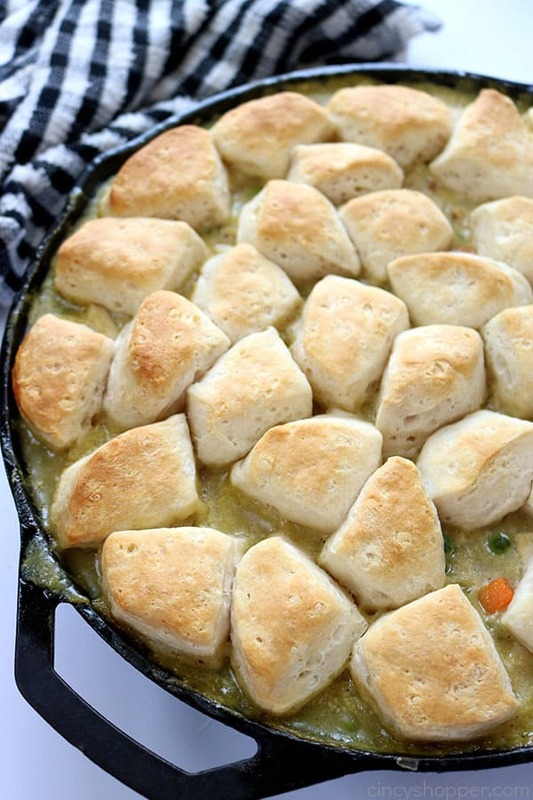 Set biscuit pieces evenly over top of skillet. 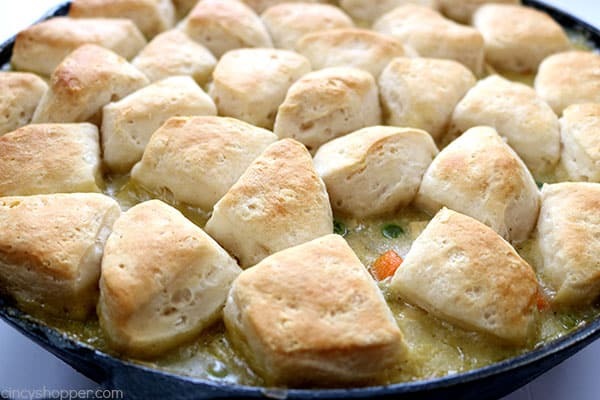 Bake about 15 minutes, until biscuits ore golden brown. Do you have a favorite Chicken & Biscuit recipe?